Black beans are abundant in both iron and molybdenum. Pulses contain a hard-to-beat mixture of protein and fibre. Most are good sources of iron, an integral component of red blood cells that transports oxygen from the lungs every cell in the body. 2016 is the International Year of Pulses – and for a good reason. Pulses are good choices for those who want to cut back on meat for health or environmental reasons. Including more in your diet is a superior way to maintain digestive health, lower cholesterol, regulate blood sugar. Adzuki beans are rich in soluble fibre, which is absorbed in digestion and helps maintain healthy cholesterol levels. They also contain potassium and magnesium, which are good for blood pressure and improving blood flow. To make an adzuki bean pattie, combine cooked adzuki beans, with rice, egg, garlic onion and herbs. Form into patties and shallow fry. Black beans are abundant in both iron and molybdenum. Iron is essential for carrying oxygen to our red blood cells, and also in the production of haemoglobin, a primary component of red blood cells. Molybdenum is a key component in chemical reactions that release iron in to the body. 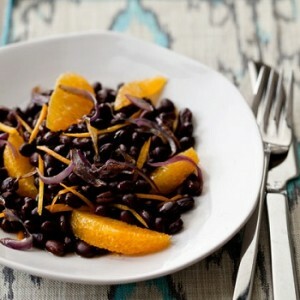 Make a black bean salad by combining cooked black beans, orange segments and thinly sliced red onion. Season with cumin and dress with an oil and vinegar dressing. Eating any pulse with vitamin C rich foods increases iron absorption, as the type of iron is harder to absorb than iron found in meat. A milder, creamier relative of the broadbean, butter beans contain molybdenum, iron and soluble fibre, essential for red blood cell health and reduced cholesterol. They are also high in protein necessary for building and repairing tissue and muscle and the amino acid tryptophan. While traditionally made with chickpeas, hummus can be made with butterbeans. Blend cooked butterbeans with sautéed onion and garlic and a squeeze of lemon juice. Gradually add olive oil until the mix reaches a thick but smooth consistency. Season to taste and serve. Beyond their fibre content, chickpeas may also be good for bone health. They are rich in manganese, which builds and provides structure for bones. They also contain calcium, phosphorus and magnesium, all bone healthy minerals. Gazpacho is a chilled summer soup, originating in Spain. It’s made primarily from pureed tomatoes (plus peppers, cucumber, garlic and spring onion) but adding whole chickpeas to the final can make a more satisfying dish. Antioxidant lycopene found in abundance in tomatoes works synergistically with the chickpeas to reduce oxidative stress on the bones. The insoluble fibre content of kidney beans helps regulate the bowels. They are also high in phosphorus a co factor in maintaining healthy bones and teeth. The mix of rice and beans forms a complete protein meal. Combine cooked rice and beans with sautéed chopped peppers, onion and garlic and chopped tomatoes. Season with chilli powder coriander and thyme. Salt and pepper to taste. Dried lentils are deficit in two essential amino acids, methionine and cysteine. Sprouting them increases levels of all amino acids including these two and produces a food that is a complete protein in its own right. Green mung beans have long been used in traditional Chinese medicine and Indian medicine. They are best used for their detoxifying properties and their anti-inflammatory benefits so to keep the body running smoothly. Whilst they can be cooked and added to stews the mung bean is more commonly consumed in the form of beansprouts. These thick white sprouts can be added to any salad or sandwich and are a mainstay of Chinese cooking. Extracted from the book Neal’s Yard Remedies Healing Foods – Eat Your Way to a Healthier Life by Susan Curtis, Pat Thomas and Dragana Vilinac (Dorling Kindersley, £16.99) which features 175 healing foods and 130 delicious recipes have been specially designed to heal from within and are easy to incorporate into your everyday routine. Try our recipes Quinoa, black lentil & roasted barley salad, Apricot and chickpea salad and Spicy bean mini-wraps.